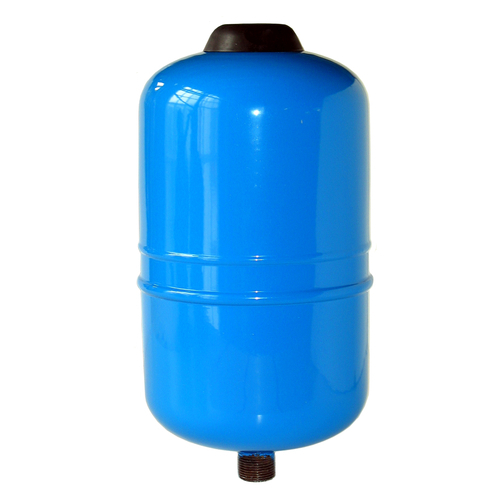 An accumulator or expansion tank for pressurised boat water systems, the tank smooths the water flow from your taps and help reduce wear on your water pump. 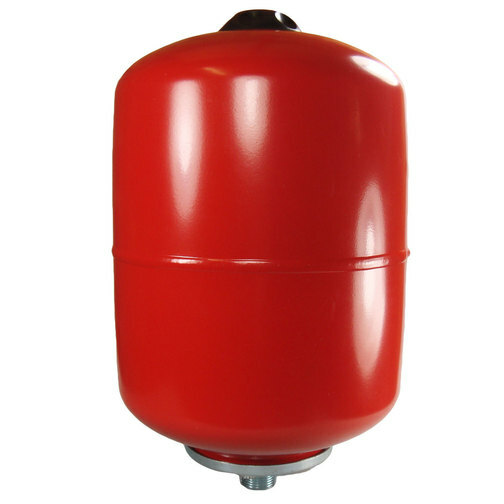 The Accumulator Expansion Tanks can be used as either an accumulator or an expansion tank in your boats water system. 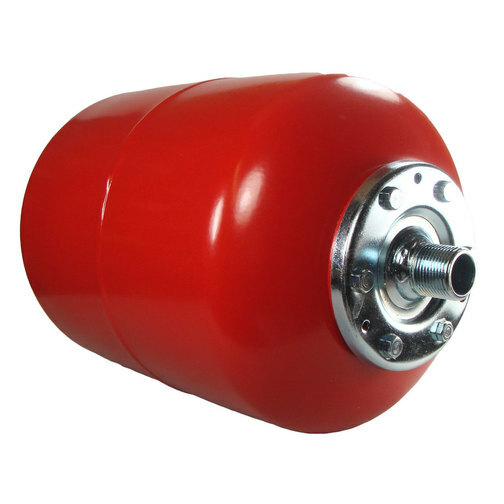 The enamelled steel tank features an internal rubber membrane with a stainless steel connecting flange. The rubber membrane expands and contracts depending on the air pressure inside the accumulator tank. This regulates the amount of water which can be stored in the tank depending on your boat water pumps cut-in pressure. It is a good idea to fit an accumulator tank to your boats water system if you are using a pressure water pump. The tank can be fitted in any orientation just after the pump. 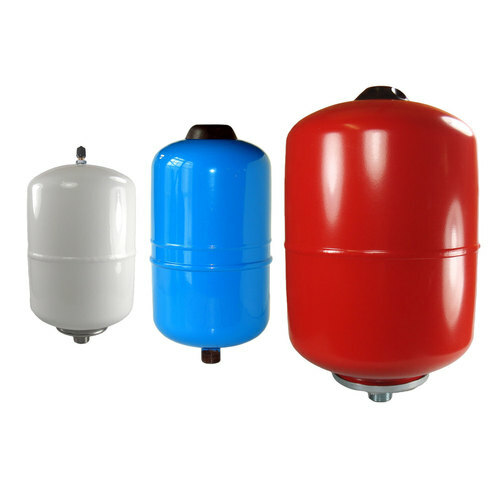 These accumulator tanks are designed for small to medium sized water systems on small to medium sized boats. If in doubt it is better to fit a larger accumulator tank. Accumulator tanks act as a buffer, smoothing the flow of water from the water pump to the tap. The tank keeps a reservoir of water which helps ease the strain on the pump. With an accumulator tank the pump doesn't need to start immediately and doesn't rapidly cycle on and off meaning you get a much smoother flow of water and reduce wear on the pump at the same time. 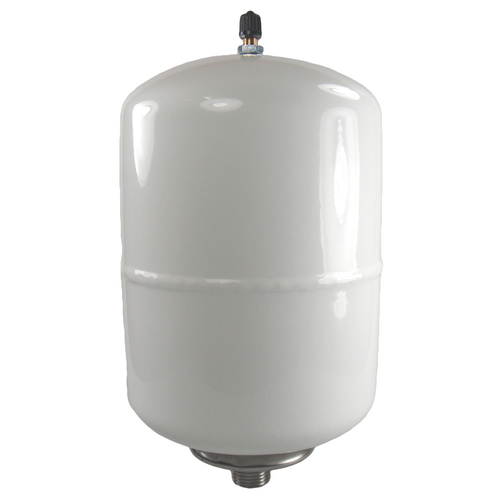 An accumulator tank can be used with both cold or hot water systems. Expansion tanks act as extra storage for your hot water. As the water in your calorifier heats up it expands. This 'extra' hot water has nowhere else to go but back along the cold water supply. The expansion tank, when fitted after a non-return valve and before the calorifier, stores this extra hot water and stops it interfering with the cold water supply. An expansion tank is only need with a hot water system.